Retailer's in-store experience features pianos, a recording studio and dressing-up items. John Lewis & Partners has set up several sets from its Christmas ad starring Elton John for a behind-the-scenes activation at its flagship Oxford Street store. The space gives customers a guided tour of the set, which begins with a storyboard and a screening of the film. Customers then enter a dressing room filled with make-up, wigs, sunglasses, accessories and outfits that they can try on. This is followed by the recording studio, which features a large piano set up for people to play. The final section is the living room that the ad opens and closes on. 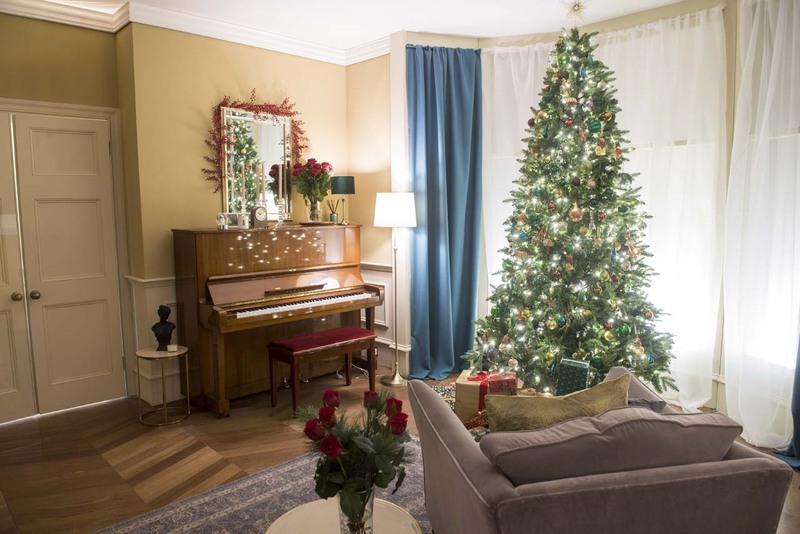 Along with the piano and a large Christmas tree, there are plenty of candles – something that the real-life John likes to have in his living space. Outside the entrance, there is a pop-up selling John memorabilia including T-shirts and vinyls. The experience was created by John Lewis and Adam & Eve/DDB, with input from John’s team. John Lewis is also running a light show every 30 minutes from the Oxford Street storefront from 4pm during the week and from 2pm over the weekend. It will last for one minute, accompanied by Step into Christmas, the track used in the ad. John Lewis said this is a "retail first". Meanwhile, there is a partnership with Yamaha to provide a piano that customers can play at the Oxford Street flagship as well as 14 other stores around the country. Finally, a collaboration with Google features a giant floor keyboard, allowing customers to use the tech brand's Home Assistant to either learn to perform a John song or ask it to play one.